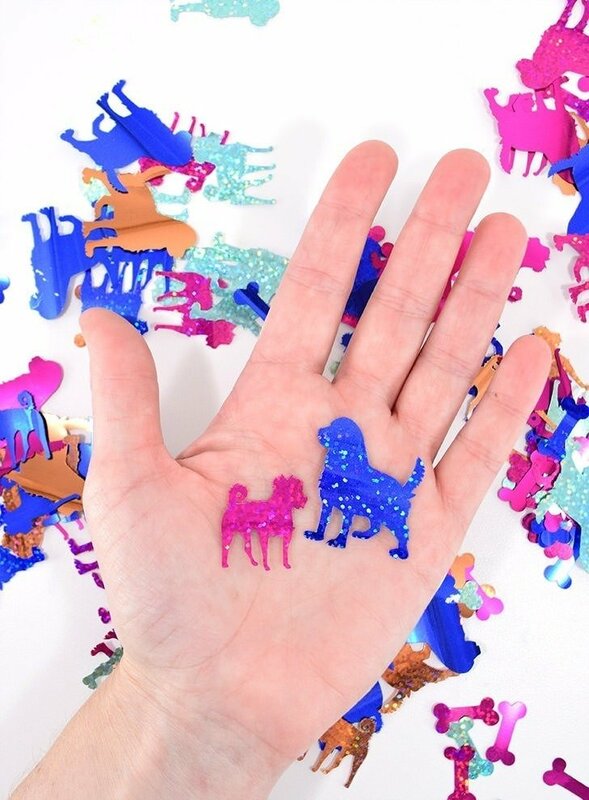 Thinking about getting a cutting machine? I’ve had others, but check out why I love my Cricut Maker the most and totally think you should have one, too. I remember back when I got my first cutting machine. It was a Christmas gift and it was easily the most expensive thing in my little craft room, surpassing the old and out of date PC on my desk my quite a bit and definitely far more expensive than my little handheld point and shoot camera I used to snap pics of my projects for this blog. A cutting machine, I had declared, would take my projects up a notch. Not really expecting to get such an extravagant gift, when I first opened the box I literally choked. Being the most expensive thing I’d have in my craft room I was terrified of messing it up and it stayed in that box, untouched, for ages. But the day came and went that I decided to jump right into cutting, mostly paper and HTV because I don’t believe it was really capable of cutting much else. And then the day came and went that I decided to upgrade my machine, purchasing one myself only to find that I had lots and lots of trouble with it. I couldn’t get the darn thing to calibrate and it ruined so much heat transfer vinyl that I just threw my hands up in the air and tossed the thing out in the garage where I’ve got a mountain of junk to deal with. But then I got an entirely new brand of cutting machine… I got a Cricut Maker. Looking at the fancy new machine with the rose gold lid and a super convenient built in tool cup I found myself, yet again, terrified of messing something up and it sat in the box a bit longer than I’d like to admit. I mean, I craft for a living. If anybody should just get after it with gusto it should be me, right? Having talked myself into getting right on after it I promptly decided that I love my Cricut Maker. Granted, I did receive my machine for free this summer, but that in no way shape or form means that I had to love it. Heck, it didn’t even mean that I needed to like it. But, guys, I do. So much. Like a ton. It’s such a big deal in my life that even Rob’s mother knows I love the thing. Rob was talking with her about some things r.e. this blog which turned into things about my crafts and then my Cricut Maker, she said, “That’s great, you use your Cricut all of the time!” And I do. Exactly what materials can you cut with a Cricut Maker? Did you just do a double-take at the 240 presets? I know I did when I first opened Cricut Design space and scrolled down to find my Iron On for my first project. I couldn’t even believe the variety… Making cards out of paper grocery bags? There’s a setting ready for that. How about making a pair of gloves out of genuine cashmere? Yup, there’s a cashmere setting ready and waiting for you. Is it likely you will use all 240+ of these cut settings? Probably not. But if you find yourself in desperate need of cutting metallic poster board on the quick at 10 p.m. because your kid forgot they had a science fair project due the next day, you can get to cutting things more quickly with the pre-set and without the muss and fuss of figuring out the cut settings for yourself. My biggest wahoo moment was when I realized that with my new machine I could cut fabric. Most other cutting machines can cut fabric, too, but the Cricut Maker is the only one I know of that has a special rotary tool to do it for amazing and consistent results. 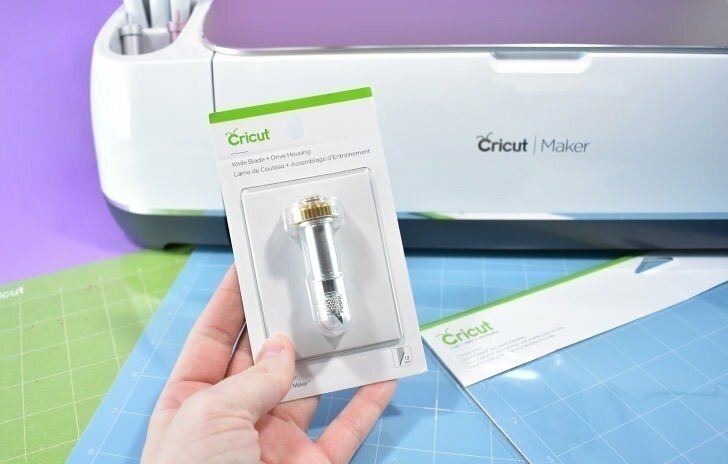 What can you make right away with your Cricut Maker? 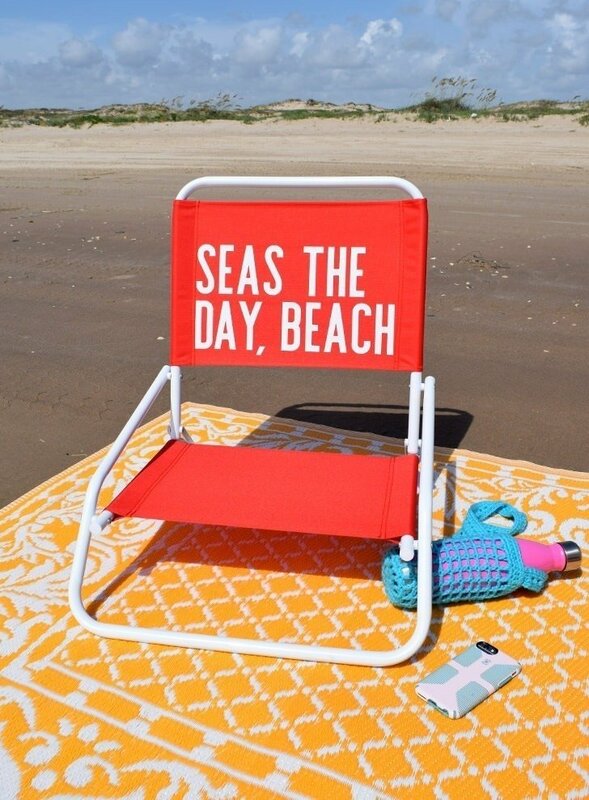 Image from Cricut Design Space. Well, first of all, there is a sample project that comes with every machine. 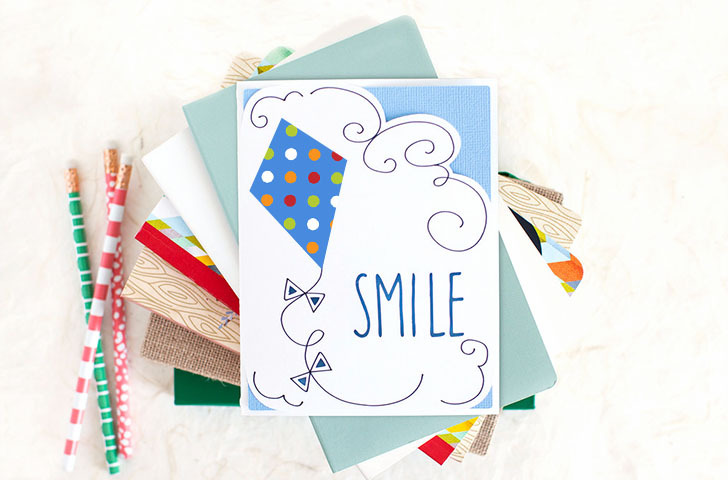 I made an adorable little card with a kite on it after I finally opened my box that was the PERFECT introduction to what my machine can do. As I sat there and watched it make its first cuts in awe, I realized that it wasn’t just me making SOMETHING, it was me getting comfortable with making ANYTHING I wanted. 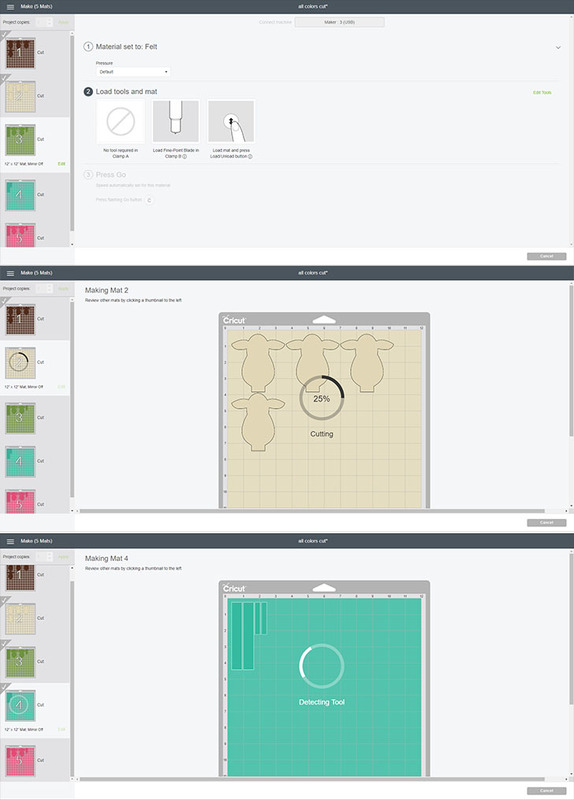 That in and of itself showed WHY I love my Cricut… because there is so much you can do, confidently because the company behind these machines really GETS it. They KNOW that you’re going to be intimidated by your machine at first and they’ve got the materials and a tutorial right there in the box to help you get over that initial concern. But besides that first project, there are TONS of things you can make using all of those materials above. 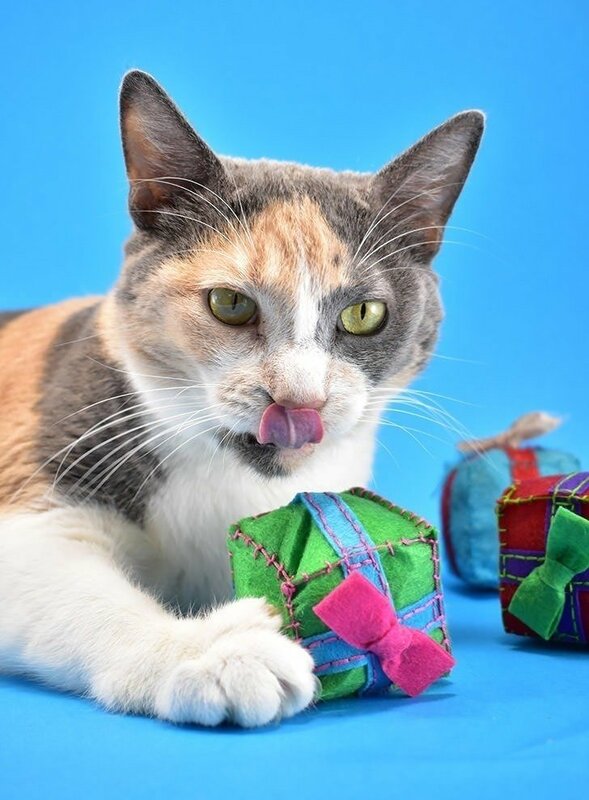 You can even make a QUILT. 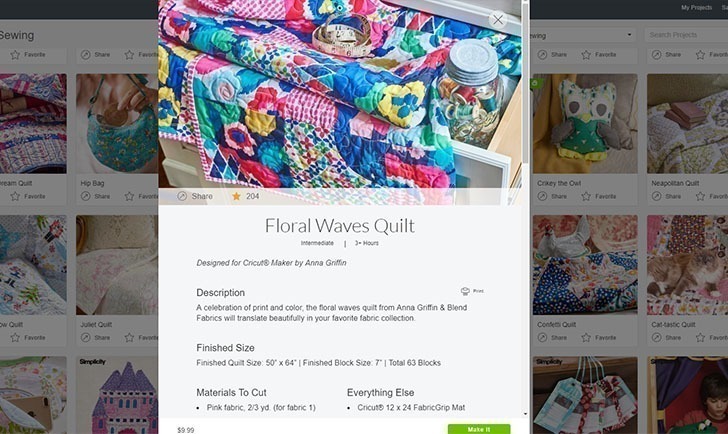 Yep, there are patterns available so that you can cut all of the little quilt pieces with a machine. How brilliant is that? 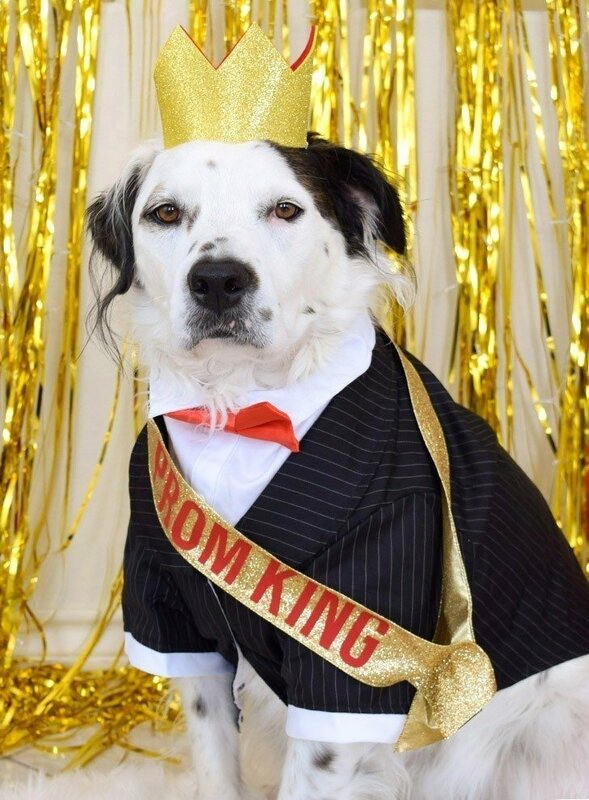 Can you even believe it? 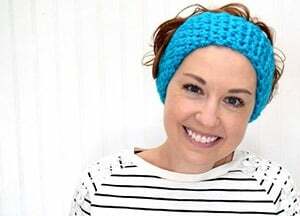 If quilting isn’t your thing you could also sew a fanny pack, make the cutest Christmas gift card holder out of paper that I’ve ever seen, make a piece of wood art to hang on your wall, make an adorable floral headband for baby out of felt… the list goes on and on and it’s pretty darn impressive. Oh, and the Cricut Maker is SMART. I’m a huge fan of technology and I LOVE trying new things. It’s something I get teased about pretty regularly because some see some of the things in my home as unnecessary. But turning four lights off and on with a 3-word voice command is pretty amazing when your hands are covered in paint and glitter and you’re in a bit of a rush so I could really care less about getting teased. Which is why I’m a big fan of the fact that I can work on projects in Cricut Design space on my iPad or my cell phone. And when I’m happy with them, I then hook either one straight to the Maker with a USB cable and then you’re informed what materials to place on cutting mats, which tools to load and then you go step by step cutting out everything you need to make that project. And that’s darn cool. Not only that, say you have a big project going on and you’ve got lots and lots of pieces to cut. In Cricut Design Space you can give each shape, letter, whatever, a color. Every item of the same color will be placed on the same mat, in the best way space-wise automatically for you. 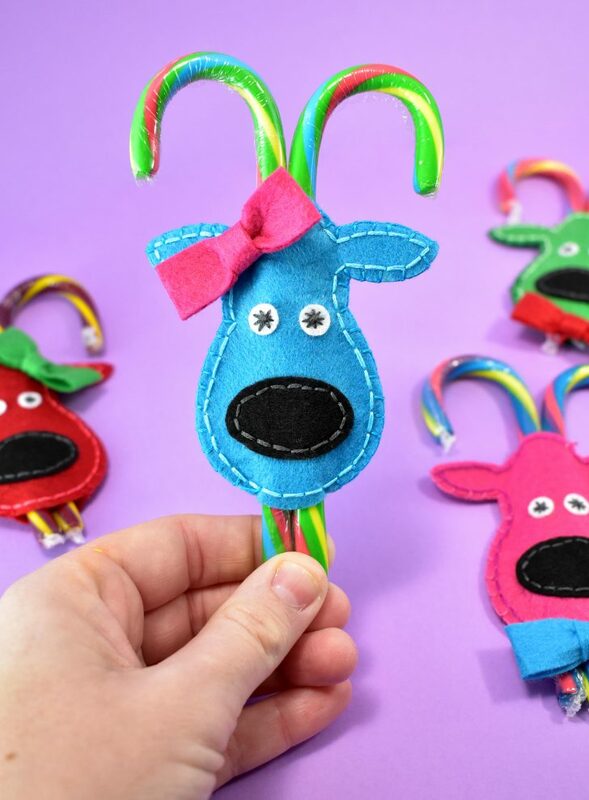 At first, I didn’t get the value in this but after I made eight reindeer candy can cozies out of felt, it dawned on me how AMAZING THIS FEATURE REALLY WAS. In one cut file, I had all of my shapes that I needed. There were TONS of them and for each shape, I selected a color for it on-screen to match the color of felt it would be cut out of. All of this is cool, and all, but what’s the most important reason I love my Cricut Maker? Hands down, the people at Cricut have been SO HELPFUL. When I had a problem and got in touch via chat my problem was solved, quickly and easily and in plain language, I could understand. 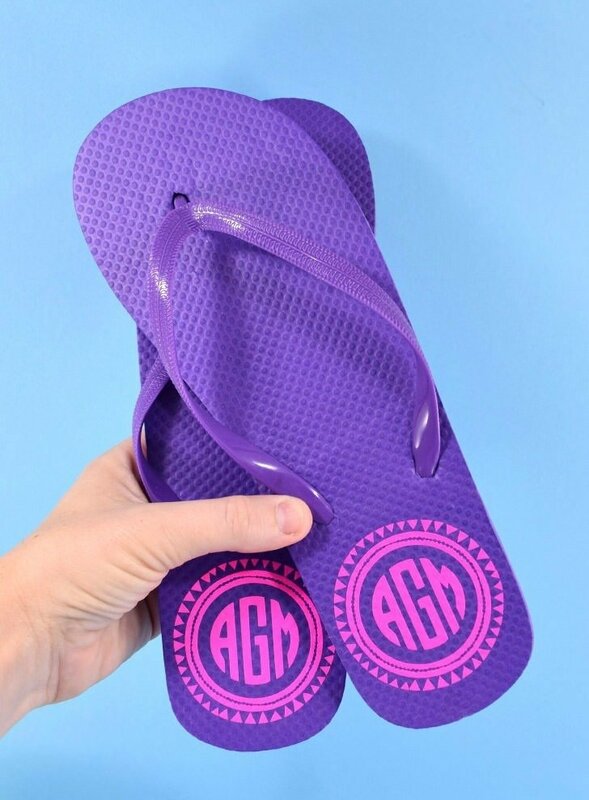 When I couldn’t find something in the Cricut online store and I hopped on the online chat to find out what was up, I was told that it wasn’t something that was currently available, but if I signed up for an email I’d be notified when it was. It wasn’t necessarily the answer that I wanted, but it was given to me quickly and easily so I could plan what my next step would be. 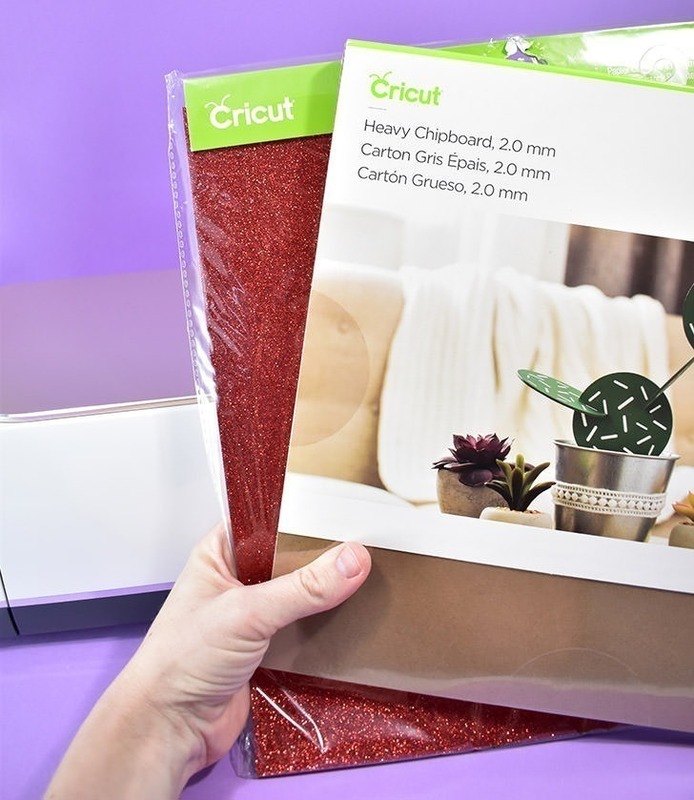 And then when I had another question about an item in the Cricut online store, I got, yet another quick answer with really helpful information that helped me make an educated decision quickly. Having dealt with bad customer service in the past that basically meant that my other machine wasn’t much more than a big paperweight on top of my desk, getting this kind of customer service is a reason I can genuinely tell you that Cricut is the brand to go with. And there it is. 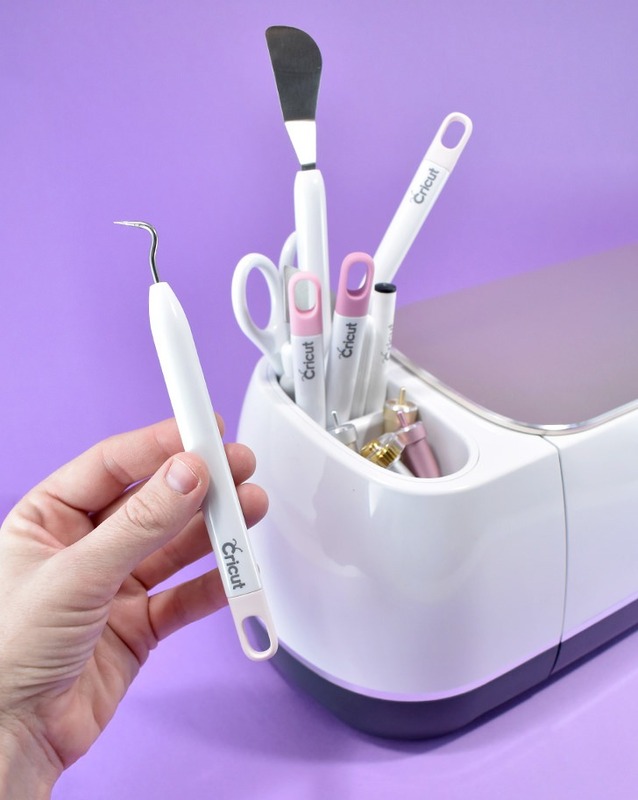 If for no other reason, when looking at cutting machines to buy, I’m going to suggest you get a Cricut because when things go pear-shaped, as things sometimes do, you’re going to get polite and helpful service to fix your issue quickly. Interested in getting one now? This is a link to the Cricut Maker which does all of the stuff I said above. It’s the machine you definitely want to get if you’re wanting to cut some of the more difficult materials like fabric or wood. 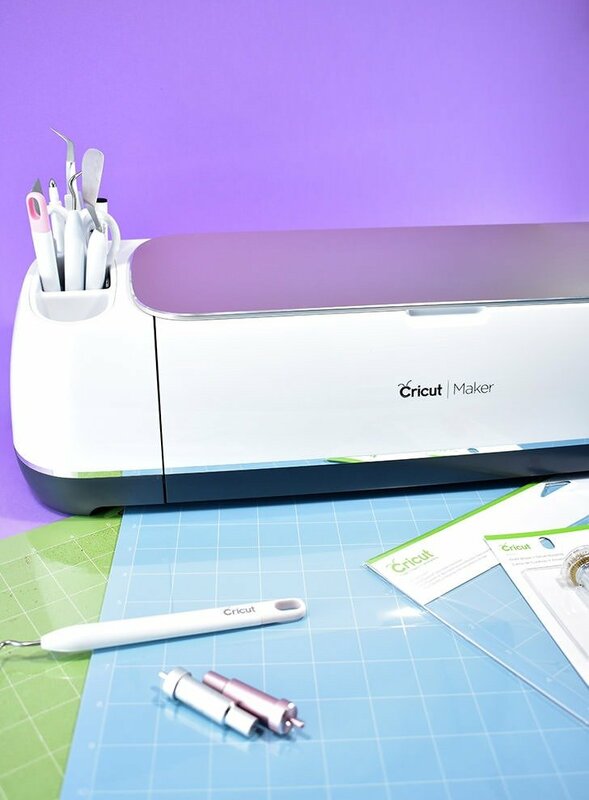 BUT if you scroll down to the bottom of this page, there is a chart that compares ALL of the Cricut models so you can find what works best for your needs and budget. Want to check out my very first Cricut Maker Projects?